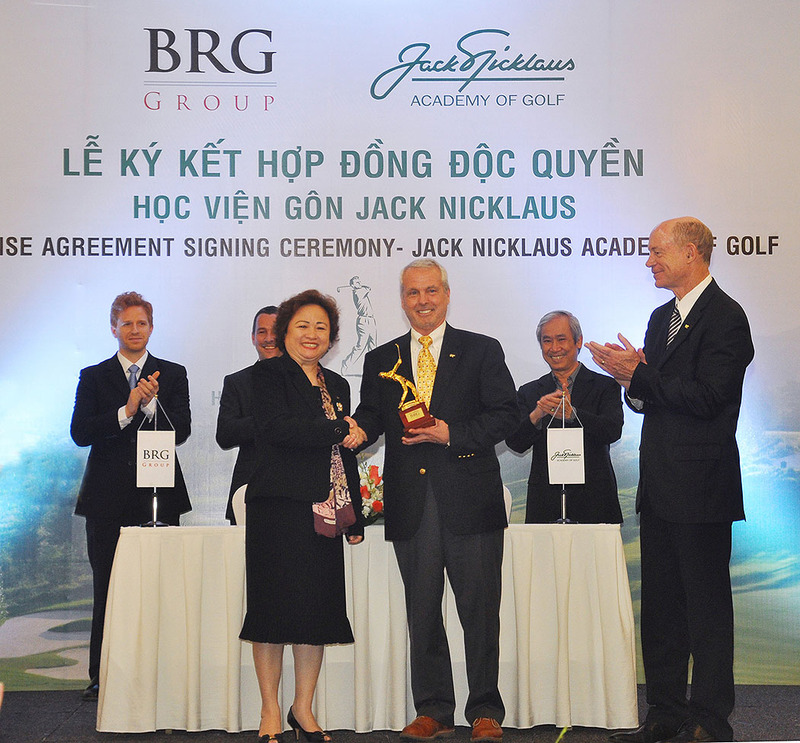 Leading Vietnamese golf course investor and operator BRG Group has signed a contract to open a Jack Nicklaus Academy of Golf at Legend Hill Golf Resort as the first professional golf training institution in Vietnam. BRG also plans to open four training institutions in Hanoi, Haiphong, Danang and HCM City. BRG will be the only authorized institution in Vietnam to provide training programs by the global Nicklaus Academies, founded by golf icon Jack Nicklaus. Golfers will be trained by instructors certified in Nicklaus Academies methodology. “The signing of the contract is a new chapter in the cooperation between BRG Group and Nicklaus Group in designing and building Legend Hill Golf Resort in Hanoi’s Soc Son District,” said Nguyen Thi Nga, chairwoman of BRG Group. Located in Hanoi, Legend Hill Golf Resort is the first golf course in Vietnam to be designed by Nicklaus Design. Currently under development, with a targeted opening in fall 2015, the course will extend Nicklaus Design’s worldwide thumbprint to over 40 countries.